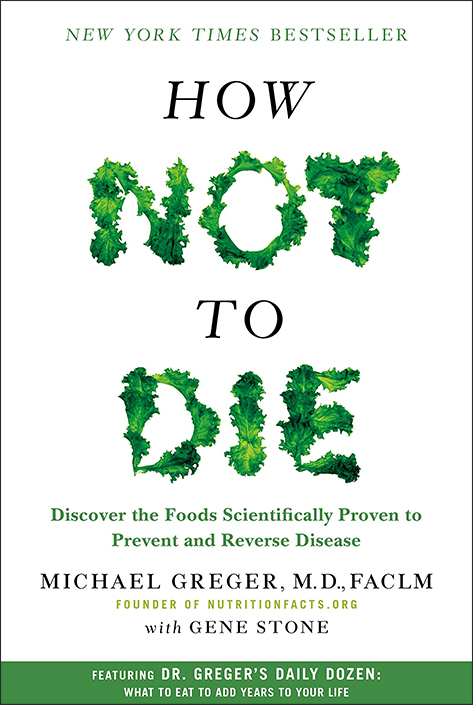 In his book, Dr. Greger examines the fifteen top causes of death in America (heart disease, various cancers, diabetes, Parkinson’s, high blood pressure, and more) and makes the assertion that THE VAST MAJORITY of premature deaths in this country can be prevented through simple diet and lifestyle changes. Dr Greger also goes into great detail about how nutritional and lifestyle interventions can trump prescription pills, various surgical approaches, and even genetics, freeing us to live longer healthier lives. These days, however, I’m happy to see that Dr Greger is no longer spending most of his time imitating John the Baptist (in other words, I’m REALLY excited to see that FINALLY Dr Greger isn’t the only voice of medical reason crying in the wilderness)…many well-known Functional, Holistic, and Integrative Medicine professionals are citing boatloads of hard science pointing directly to veganism as the best way to not only reduce disease symptoms but even reduce risk for developing every major disease. But here’s the only problem I see with that picture: FOR MOST FOLKS IN THIS COUNTRY (where we have a unique constellation of health concerns plus physical and emotional stressors unparalleled in the entire history of human development) a vegan lifestyle is simply unsustainable. In other words, just because a food label says "Paleo" doesn't mean it’s so (in fact, these days, often the reverse is true) and just because your friends tell you they’ve done a Whole 30 doesn’t mean they can show you how to do it! So if you’re serious about disease prevention, treatment, or even reversal then you seriously should enroll in my Whole 30 DONE RIGHT! class today...just two 90-minute classes might be the best long-term health investment you’ll ever make. Oh and BTW I’ll also show you how EASY it really can be to change your mood, your sleep, your entire relationship with food, AND YOUR WEIGHT (just as a side-effect) in no time flat (HOW COOL IS THAT?!) In fact, my fun, innovative and yummy workshop is completely unique: nowhere else (at least in this neighborhood) will you find a program exactly like this taught by someone who was trained by the folks who wrote the book…I even include a cooking demonstration!